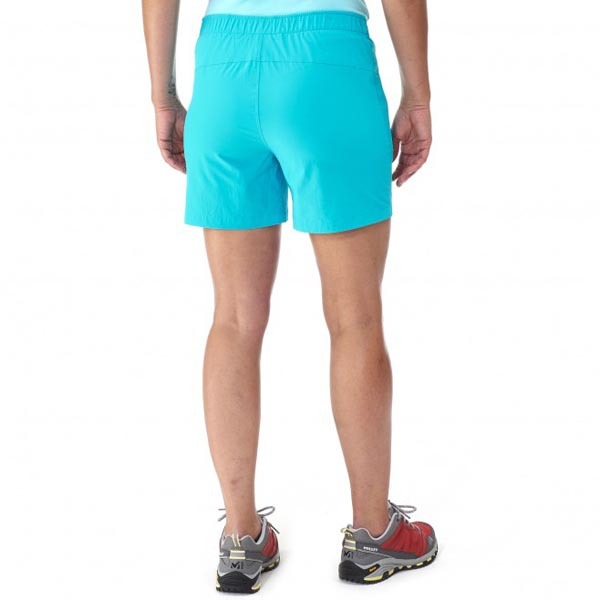 Particularly well suited to hiking and alpine trekking, these ultra light and feminine technical shorts are chiefly aimed at women with a dynamic mountain tempo. On challenging terrain and steep secti ons, they set movement free thanks to 4-way-stretch polyamide DRYNAMIC™ FLY STRETCH, cut short to promote a quicker pace. With outstanding wickability suited to athletic intensity, and very high abrasion and tear resistance. 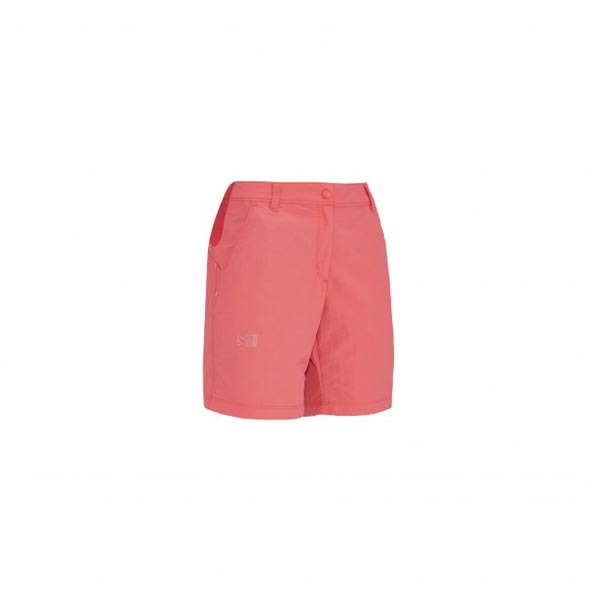 In hot weather, the LD RED MOUNTAIN STRETCH SHORT feels light and pleasant against the skin, drying quickly and giving UPF40+ protection against UV rays. Discreetly feminine, this model has hidden pockets for more esthetic appeal on the move. LOW IMPACT™ certified for its eco-friendly design.